Vortex Valves beladingsbalg voor het stofvrij verladen van bulkgoed in vrachtwagens, schepen, treinen of grondoverslag. Uitgebreid programma Belandingsbalgen met modulaire bouwvorm en veel standaard mogelijkheden. Atex volgens EC richtlijn 94/9/EC zone 20. 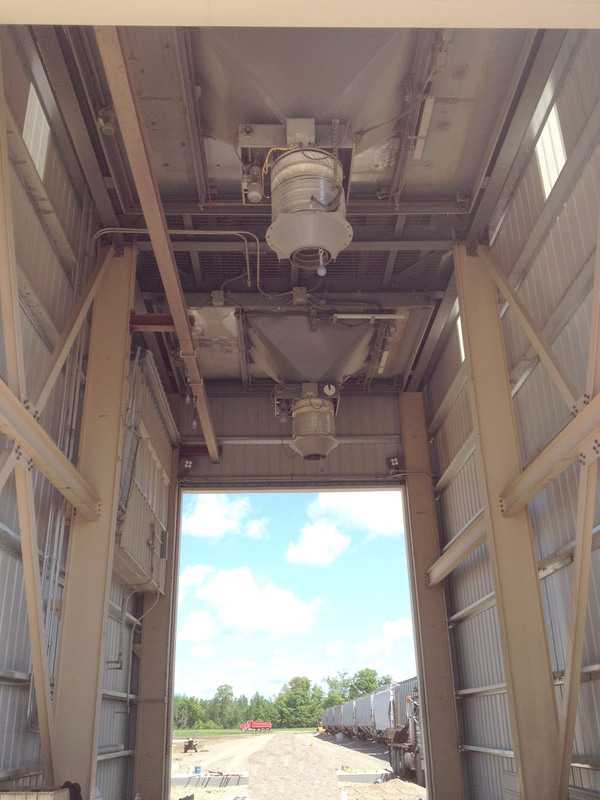 Vortex loading spout systems provide fast and steady material flow during the loading of dry/bulk solid materials in open and/or enclosed vessels such as trucks, railroad cars, tank vehicles, ships, barges, and stockpiling. 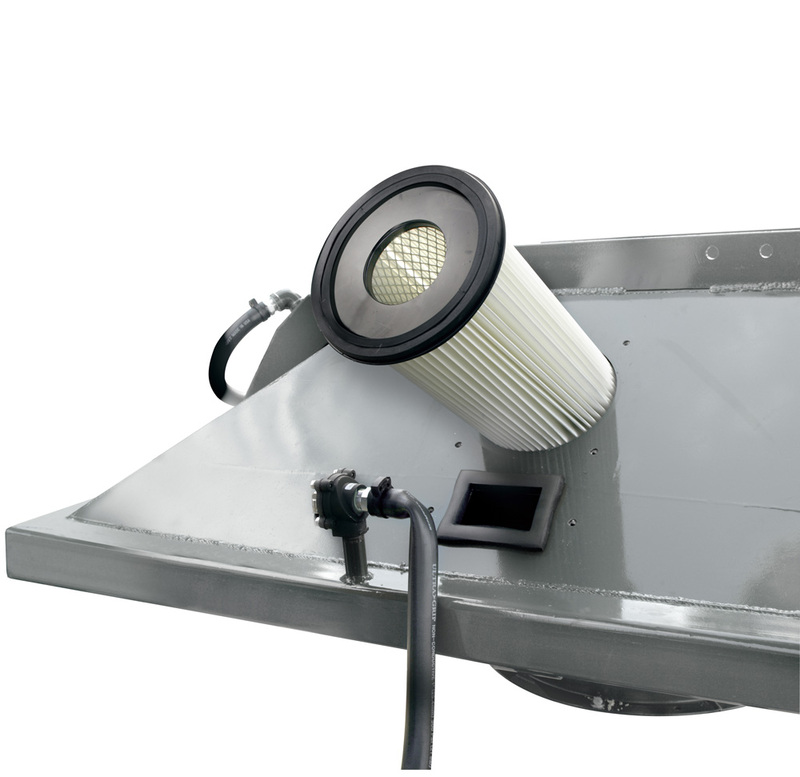 These loading spouts are designed to capture fugitive dust, prevent material waste, and ensure plant and environmental safety, with low maintenance and service expenses. 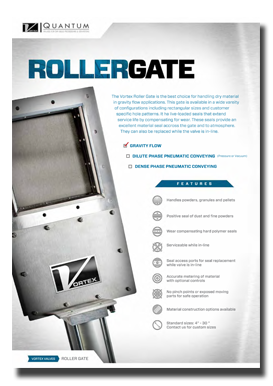 From the retractable loading spout attached to the bottom of a silo/hopper or located at the end of an air conveying system, to the dust collecting filter system, to the loading spout positioner, Vortex Loading Solutions offer a complete line of versatile loading spout systems for your loading process. 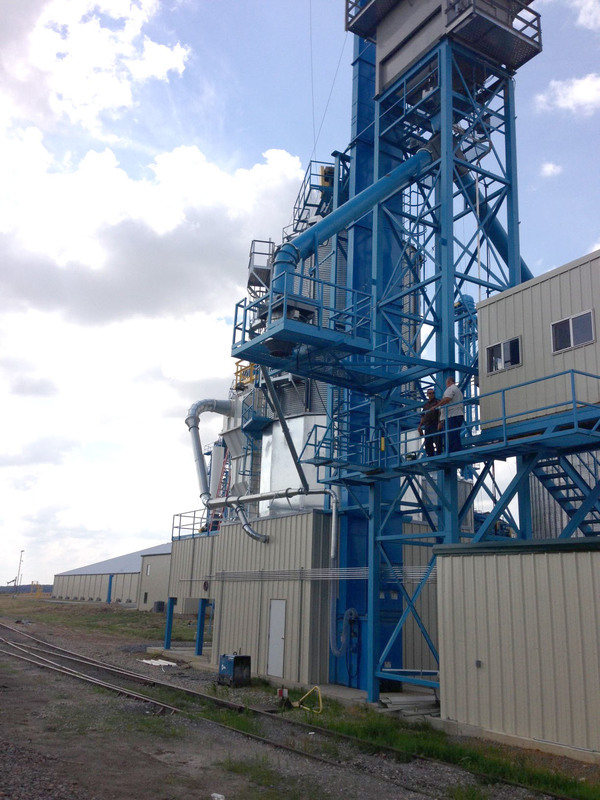 We can also custom engineer any loading spout system to meet your most demanding loadout application requirements, including corrosive or hazardous materials, long distances, low and high temperatures, etc. 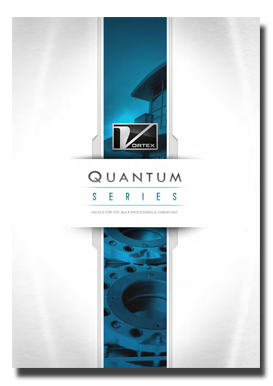 Vortex fully assembles, factory tests and packages every loading spout system before shipping it to your facility to provide ease of installation and to ensure optimal performance once in use. 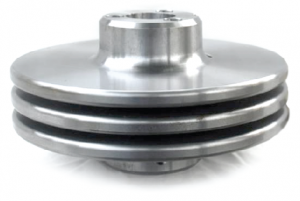 Standard volume loading spouts consist of internal material stacking cones that contain and direct the material flow using gravity and negative pressure. A flexible outer sleeve encompasses the stacking cones to capture any fugitive dust. High volume loading spouts feature a telescopic tube-in-tube design. 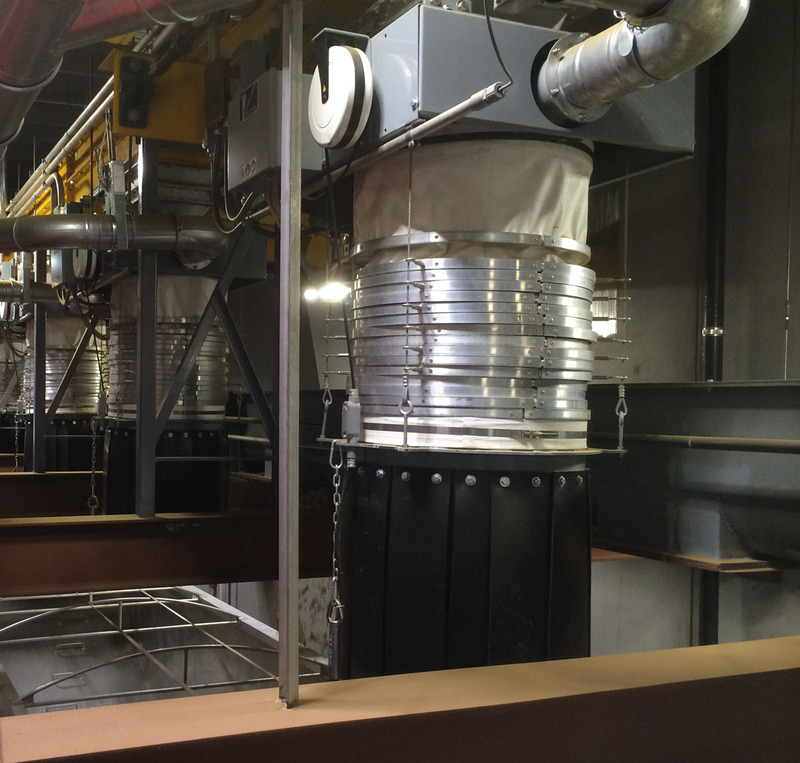 In open loading applications, the discharge scavenger is also equipped with a neoprene rubber skirt system to further control dust emissions. 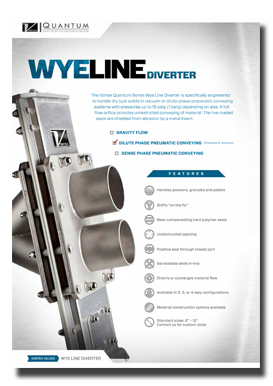 1 – Four Cable Lifting Design: Unique to the industry, the proprietary 4-cable lifting design provides maximum stability and more lifting torque, compared to the standard 2- or 3-cable system used on standard loading spouts. 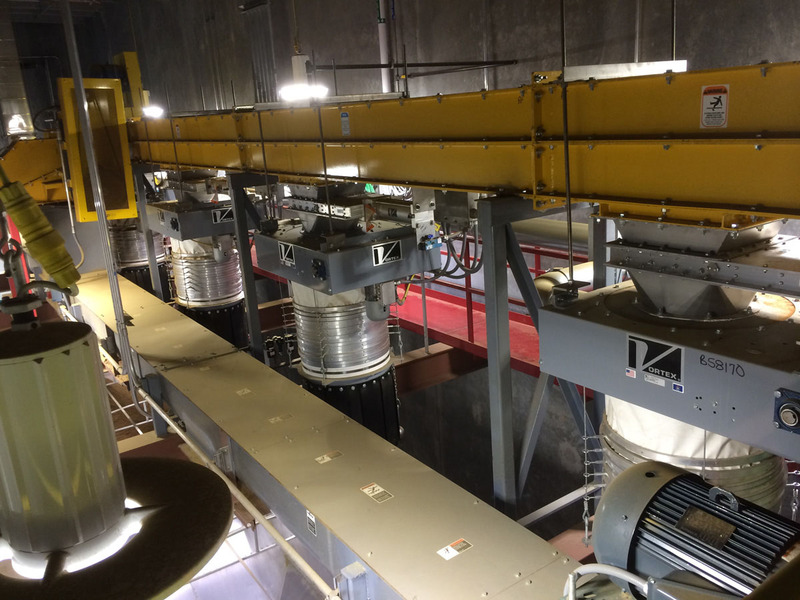 This hoist drive system also incorporates a unique 3-piece pulley design and center mounted motor. 2 – Cone Material Options: Several cone construction materials are available, depending on application requirements and the type of product being dispensed through the loading spout. 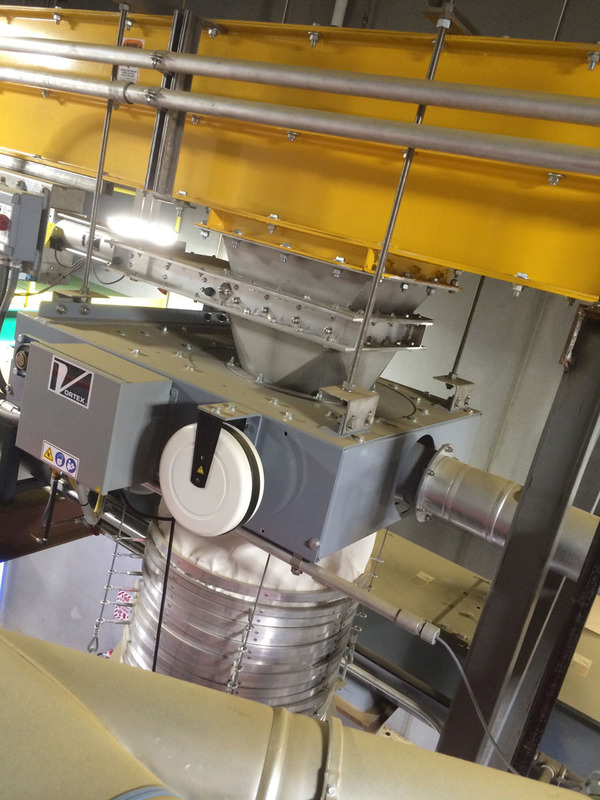 3 – Auto Raising Technology: A mercury-filled, level-sensing probe enables you to automate and speed up your loading process for both open and closed vessels. 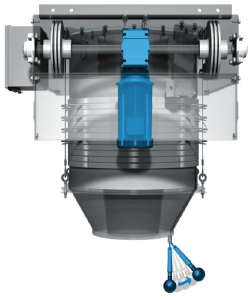 This auto-raise feature eliminates the need for visual monitoring as the vessel fills up and avoids overfilling. + Optional Control Pendants: A handheld pendant (tethered or remote) equipped with full spout controls and emergency stop buttons.